If you own an Apple iPhone and are addicted to selling stuff on eBay then the latest update to the online auction app will certainly appeal to your inner Del Boy. That's because eBay's latest version of its iPhone app will allow you to access a new 'Quick View' home screen to see your various buyers and sellers and instant updates on items. 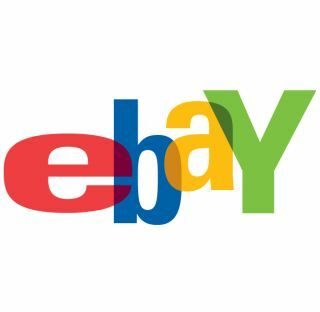 If a seller is listing a similar item then you can now use eBay's "Sell One Like This" feature to create a listing that is automatically populated with information like category and item condition. Perhaps most interestingly, eBay mobile is now adding technology from RedLaser, the barcode scanning iPhone app that eBay acquired recently. "eBay, a leader in mobile commerce and the world's largest online marketplace, today released a new version of its main iPhone application that adds selling functionality and leading RedLaser barcode-scanning technology," explains eBay. "The new app bridges in-store and mobile shopping experiences so that shoppers can scan to comparison shop across a wider selection of merchandise including electronics, movies and videogames." eBay claims that nearly 30 million items have been bought or sold using eBay mobile apps around the world since its first mobile app launched back in 2008. "The UK has seen the greatest adoption of mobile eCommerce, with 340,000 visits made to eBay.co.uk via a mobile app every day and more Brits shopping through the eBay app than anywhere else in Europe. UK shoppers make on average, one purchase every two seconds via eBay's mobile applications." Steve Yankovich, vice president of eBay Mobile adds: "More shoppers are turning to their mobile phones to save money and time this holiday season. "We listened to our 13 million+ mobile app users and we've updated our eBay iPhone app to be a one stop shop for all of their holiday buying and selling needs. "We continue to blur the lines between in-store and online shopping by allowing eBay shoppers to conveniently scan products to find the best deals virtually anywhere, anytime." Not got the eBay app on your iPhone yet? Clear out your loft or garage or cupboard under the stairs in no time using eBay's updated iPhone application over on the UK iTunes Store.